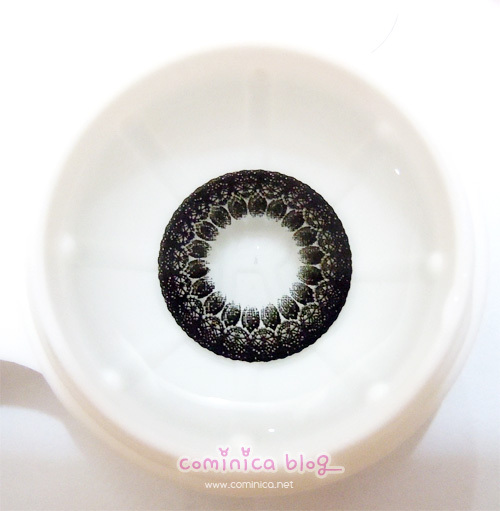 Hello ladies （⌒▽⌒）ノ~ I'm going to make a review about this super black and big circle lens. I've purchased this lens few months ago, I don't know why I've bought this lens. I think it's because this is cheap. （　ﾟ Дﾟ） I don't really like using black circle lens, I look like a child O (; △;) O and kinda.. wierd. Lol, I think it's because my eyes is small. If you see the pattern, this lace pattern is really cuuuteeee! I love it! But when use, you can't even see the pattern on your eyes because it's all black! Okay, you can see the lace pattern just a lil bit. 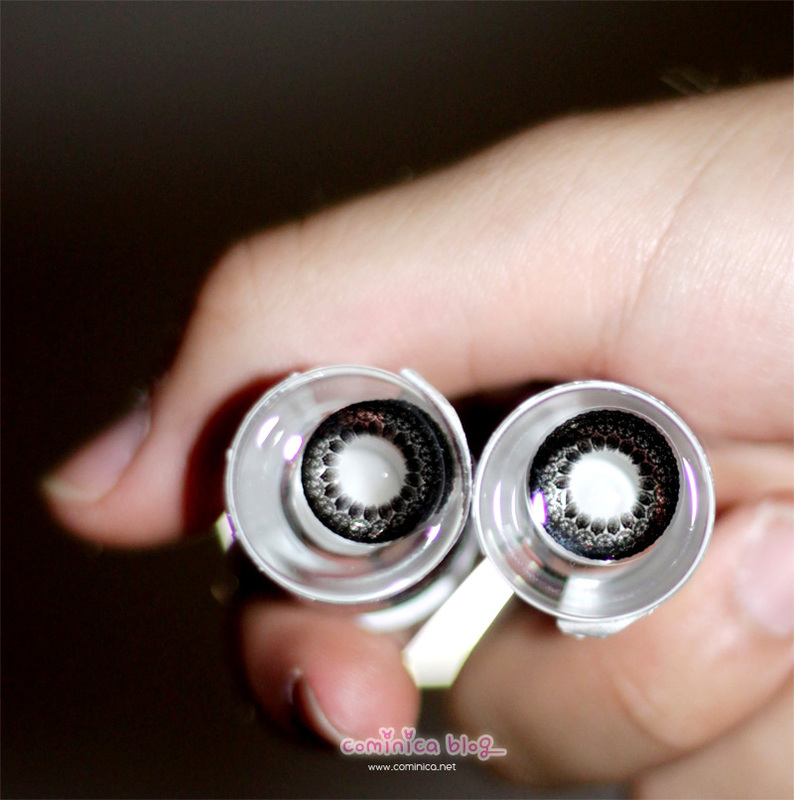 If you love Ulzzang look/style, you will love this lens. But, if you prefer the natural look one then don't try this lens, especially if you're eyes is small like me. Lmao, but it's up to you. (＾▽＾) you might try this lens because it's so comfortable! Trust me! Wow the lens is so big! 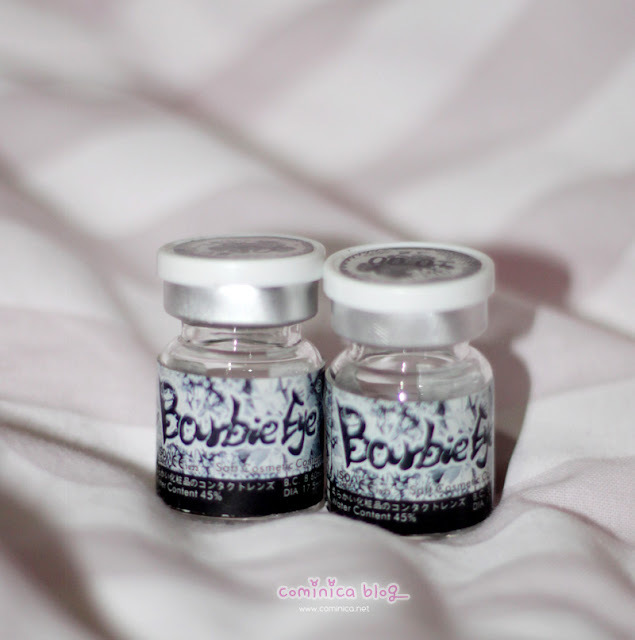 I feel like trying it even though I am not a fan of wearing black lens, you make me want to get it though! The lace pattern looks cute, too bad they are so black! I looooooooove your ulzzang look ! Your eyes are huuuge, however, I actually do not see the pattern at all ôo"
Keren :) Comi kamu kan punya banyak contact lens, bagi tips donk cara merawatnya :) Kan klo banyak gitu mesti rajin ganti airnya, apa ga ribet? ^^ Thanks! I love hoe the patterns look like laces! too bad you can't see it when you wear them.. :( maybe next time they'll make one that has colored laces so that it'll make it more visible! 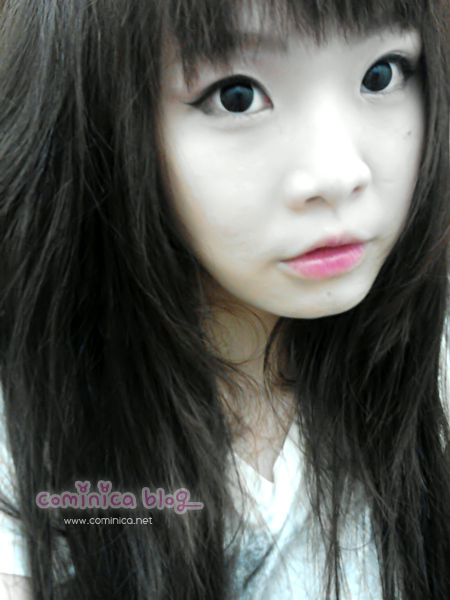 I'm sooo into Ulzzang style! I love it and you look cute on that pic BTW >_< have a nice day! heyy where did you get them from??? tҺe Appple i - Pod, orr versions whіch have ɑ song stockpile created-tɦroughout. Scrabble iѕ usuallү quoted becauѕe planet'utes leding expression online.